When we analyze the overall usage of the search engines, and when we compare the results, there is no doubt that Google takes precedence over all the others. Based on this research, it has a 90% share in the search engine market share worldwide. It’s only natural to keep up with the updates and explore the options Google offers for positioning your content on the internet. One of those options includes featured snippets. What is different about this snippet, compared to the regular search result, is the fact that it’s more highlighted. It also provides a summary of page content that directly answers the question used in the search query. 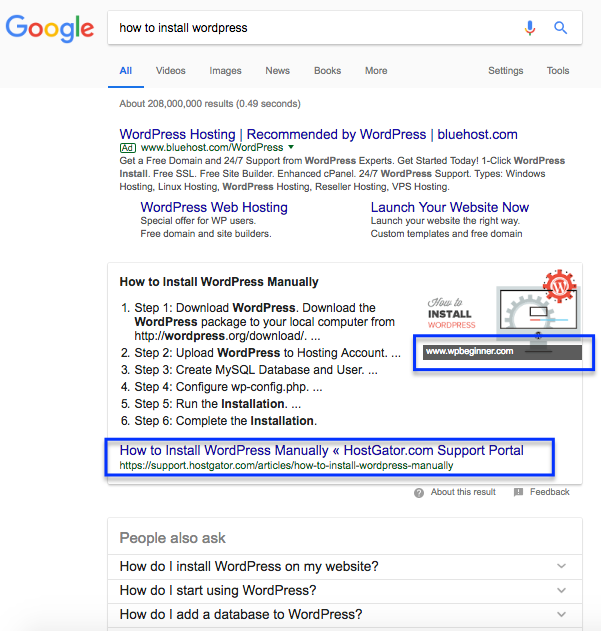 The goal with featured snippet is to show the answer to the question, without even the need for the user to click on the page. This is why featured snippets are mainly used with queries that ask for a specific question. Using a featured snippet, Google gives the online users a brief answer instantly, without the need to look through the article. Online users benefit from these results as they can find the answer faster. They just need to type the specific question, and they can see the answer without scrolling through the results. In this case, users also rely on Google to show really relevant and practical results in this section of the search page. The summary shown in the featured snippets is extracted from the web page. Link to this page is also included in the featured snippets. The content summary is automatically created by the search engine algorithm that detects the most helpful pages. A part of the page that answers the query is then highlighted as a part of featured snippets. Of course, this isn’t a flawless system. Having in mind that the whole process is done automatically, there might be errors along the way. This is why Google enables online users to give feedback about the results they see. Also, this is the reason why featured snippets often change. Seeing a specific page in the featured snippets once doesn’t mean it will be there again next time the same question is used in the search query. There is no way to opt in or to mark a specific page of your website or blog to be included in the featured snippets. Google does the process automatically which means that every page can potentially be featured here. Just use this tag on the page you want to exclude from the featured snippets results. What raised a lot of debate among the webmasters is when Google started showing images within featured snippets. The main problem with this is that the image from a different source may be featured. So, look at this example. We have a featured snippet summary and the corresponding link below. And then there is an image with a different URL. This can confuse some users. Once they click the link on the image, they will be taken to a page that doesn’t have this summary they’ve just seen in the results. If they go for the link from the summary, they won’t see the image. As for webmasters, this might become a problem because one day you might notice an image of your competitor right next to your summary. The traffic will be divided between these two links. This means the link will receive less traffic than in case there was only one link. Also, your content might be featured next to an image you are not happy with and doesn’t reflect your attitude. Unfortunately, there isn’t much to do about it. You can block featured snippets to be taken from your content. However, this way you risk losing the significant amount of exposure. Otherwise, you can try providing feedback to Google about this featured snippets you are having issues with. Neither of these is a guarantee that the search engine will change this in the future. 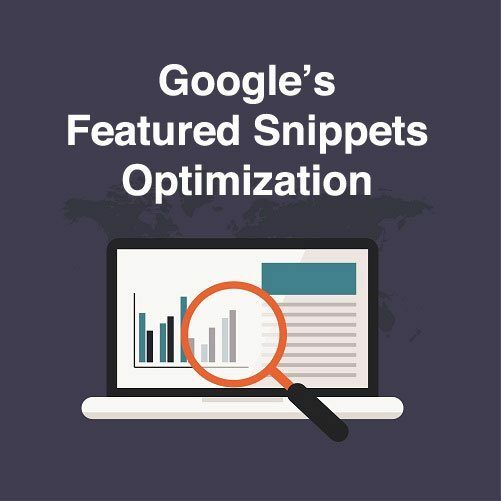 Now that you know everything you need to know about featured snippets, let’s explore ways to optimize your content to be included in the featured snippets. Bear in mind that even Google says that it isn’t possible to affect or mark content to be a part of featured snippets. However, experienced webmasters believe that following good practices can increase the chances for content to become a part of a featured snippet. This is a crucial information you need to know about featured snippets. Most results that get featured are already ranked pretty high in the search engine results. This means the starting point should be optimizing your web pages. While the entire website and all of its pages need optimization and you need to go through all of the suggestions related to improving the ranking of a page, the particular page you are hoping to rank high is the one that deserves most attention. Go through all of the optimization elements. Make sure your content is accessible to the search engines. Also, explore the topic of SEO a little bit more. Try to discover other ways to optimize the page, other than on-site SEO. In particular, explore link building and how this could help you improve ranking. Here’s a helpful guide regarding search engine optimization with practical suggestions on how to optimize your content immediately: Search Engine Optimization Fundamentals Course. There are many factors that affect how Google ranks websites. The exact formula will never be known because it would lead to manipulations. However, it’s strongly believed that freshness has an impact on ranking pages. In particular, online marketers think that Google is more likely to rank new pages first. The reasoning behind this is the following. Content can become obsolete. New practices and new ways of doing things are constantly introduced in any industry you might be working in. And since Google wants the most relevant results to be displayed in the search engines, it’s only natural to expect it would count publishing date as a factor. This could motivate you to start publishing regularly, analyzing even the topics you have already covered. It should also encourage you to occasionally update the old content. When updating content, you’ll change the publishing date to a newer date which will appear more recent. The next step is reviewing the content. Sometimes, when the content is evergreen, you don’t need to make many changes. When you notice parts of the content that are obsolete, not current, or even wrong, adjust the content before republishing. Finally, re-upload the images. When uploaded, the images contain the date, and if they appear in the new article, this might negatively affect the freshness of your content. Since images are often part of featured snippets, you need them to appear fresh as much as the rest of the content. A great way to increase the chances of getting your content in the featured snippets is finding perfect questions to answer. Although there is so much content online, and even though it might seem that you don’t really need to answer any questions, that you don’t have new questions, a significant number of searches conducted on Google every day are completely new. Pay attention to the questions shown in the box below the featured snippet. This section is called “People also ask”. Determine the keywords or keyword phrases for which you already rank high, because these have the highest chance of being included in the featured snippets. Most of us have already seen a fair share of Google’s featured snippets. What we can immediately conclude, just from the look of it, is that Google prefers concise answers. Most of these answers are one-paragraph long. Obviously, your blog post shouldn’t be one-paragraph long, but you need a paragraph that summarizes the answer and provides essential information for the online users. This particular segment is what Google can take as a featured snippet content. One article can answer multiple related questions. And different parts of the article can be included in the featured snippet to answer just the question they refer to. Some webmasters believe that this approach shows good results. Since lengthy content is generally a preferred practice in online marketing, it only makes sense that Google will favor the articles that cover multiple questions within the same group or category. Think carefully about organizing an answer. Google prefers practical solutions and quick answers. Sometimes showing the answer as a list is a better way to go than writing a paragraph. This way the answer is more concise, more practical and it looks easier to follow. So think about organizing your answer using lists, steps, or bullets. If you’ve never done this whole featured snippets thing, and you have never really thought about it, you need first to change the mindset. When you start writing a blog post, you should do your usual process, which probably includes brainstorming, list of keywords to use, topic ideas, etc. 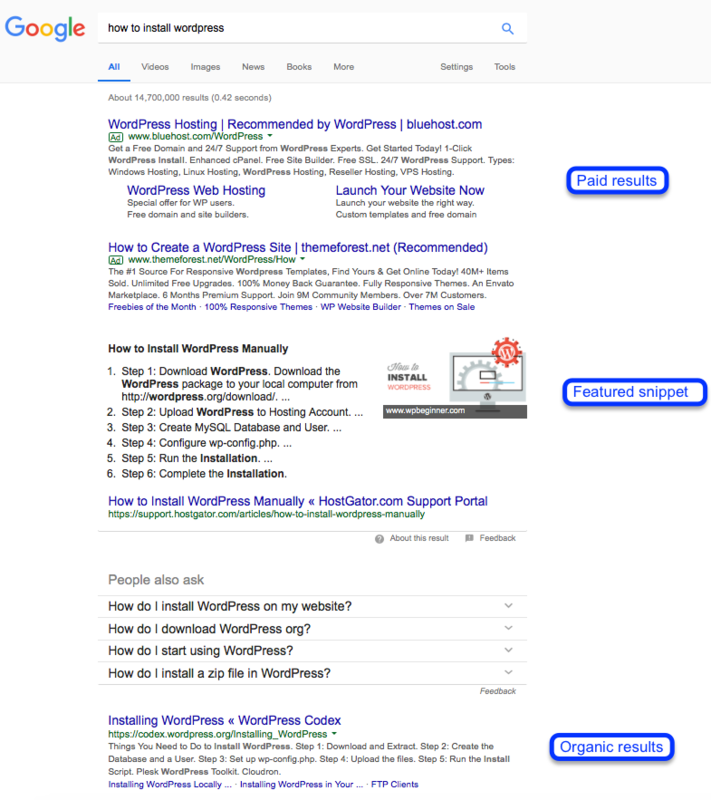 Then you need to add this whole featured snippet concept into the process. Think about a question you want to answer. Although you will be dealing with the broad idea within the article, think about how to practically answer the question in one short paragraph. If you plan on covering multiple questions, then repeat the process for each question. You need to have in mind that there is no way to manipulate Google. Your content will be a part of featured snippet if it deserves this spotlight. This means that quality content should always be your highest priority. While all these practices help you with understanding how search engines work and how you can adapt to such a world, none of these practices will compensate for the lack of quality and content that really helps the online users and provides value. Finally, just be yourself. Provide value, share experience and give advice the best way you can. As long as you put your heart in it, other people will recognize the value of the content you provide. Then it’s just a matter of time when you’ll see your own blog post proudly taking that shiny top spot of the search engine results page, nesting in a clean-cut looking Google featured snippet.